Why limit your kilt to just one pocket when you can have two pockets for a little more than the price of one. *Riveted pockets are not included in this deal. 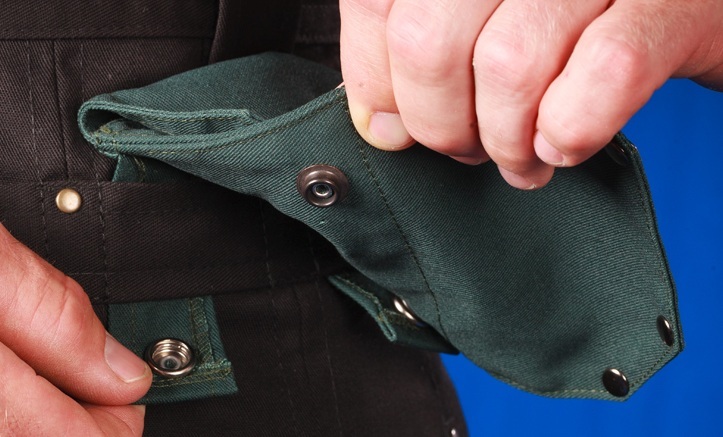 StumpTown Kilt's Pockets provide plenty of storage for personal items without the bulky look of cargo pockets or the hassle of carrying an oversized bag. A Bandoleer positioned along the waistline of the kilt gives you the option to wear your kilt with or without pockets. Simply add pockets to get a utility kilt look and feel or without pockets for a dressier look. It’s your kilt. Customize it the way that best fits your activities or personal style. The pocket strap also provides great attachment points for clips, D-rings, carabiners and alike and is reinforced with bar tacking and rivets for added strength.